string(1064) "Resource Centre > Uncategorized > BHP Billiton Code of Business Conduct"
The BHP Billiton Code of Business Conduct (the Code) is based on Our Charter values. The Code represents our commitment to uphold ethical business practices and meet or exceed applicable legal requirements. We believe that consistent and proper business conduct creates loyalty and trust with our stakeholders and each other. The Code helps guide our daily work. 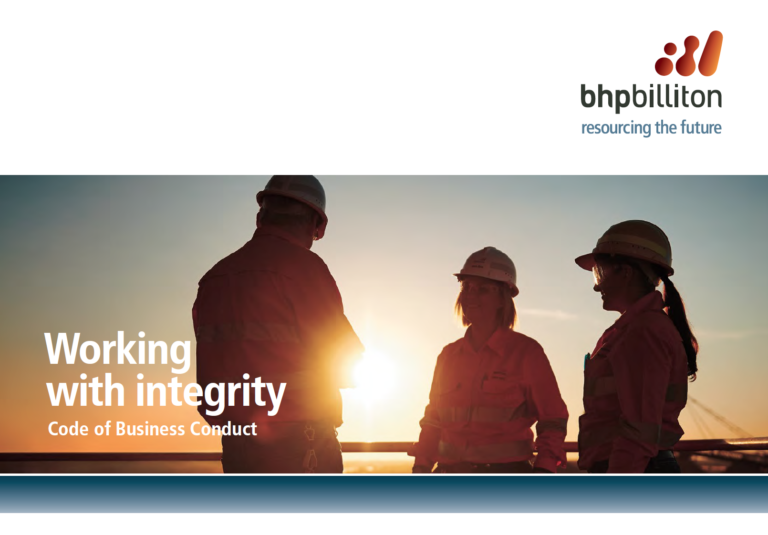 It demonstrates how to practically apply the commitments and values set out in Our Charter and reflects many of the Group Level Documents (GLDs), standards and procedures which are applicable across BHP Billiton.